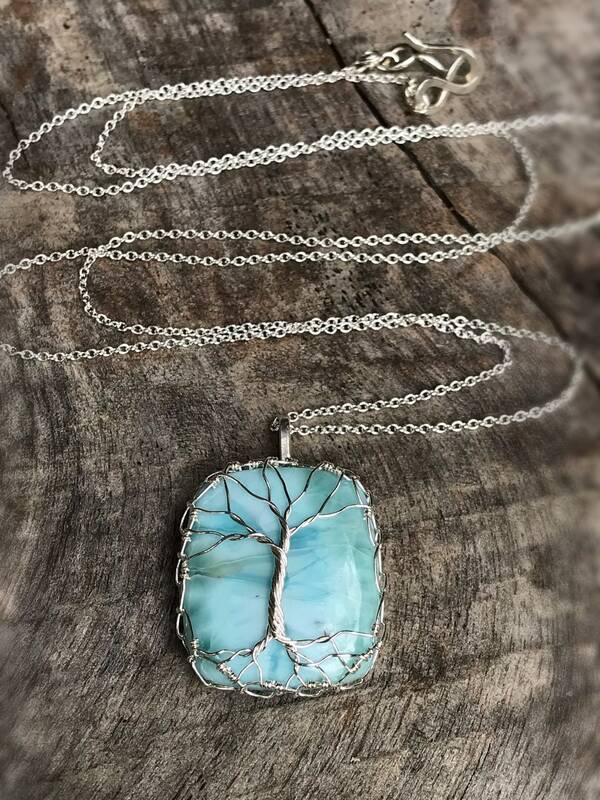 Tree of Life Necklace - Solid Sterling Silver - Genuine Dominican Larimar - "Heart Of The Island"
One of a kind solid sterling silver tree of life necklace on a rare Dominican Larimar cabochon. 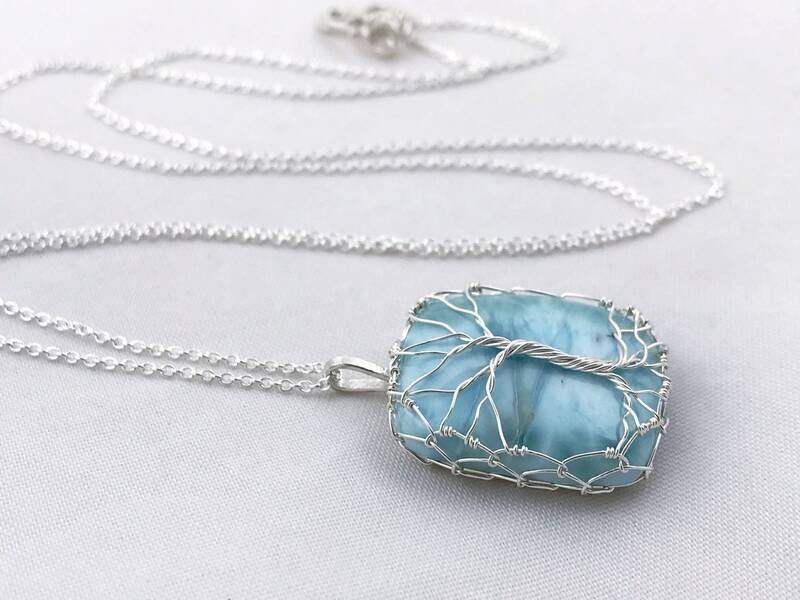 This Larimar stone is rounded rectangle cut and beautifully dynamic, with an array of sky blue, subtle tan, and white hues running across the surface. The backside patterning contains what looks to me like a heart near the center of the stone, and so I named this piece "Heart Of The Island." 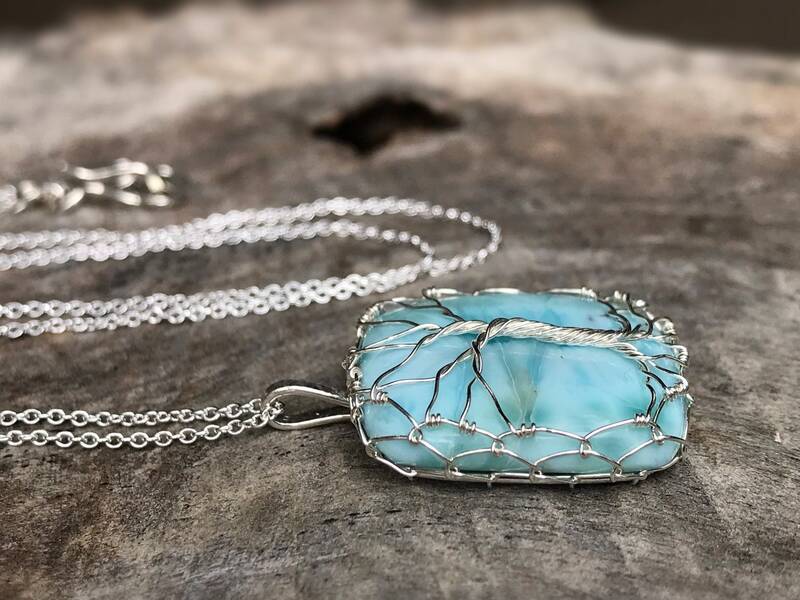 The stone is set on a hammered sterling rectangle backing with spiral detail and mounted in a very secure woven sterling bezel which flows beautifully into the tree design on the front of the stone. 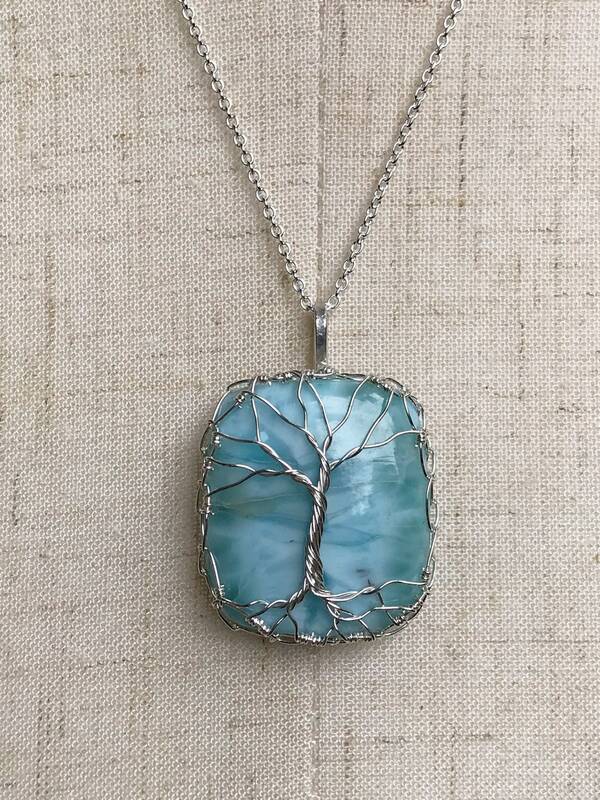 This item is one of a kind, you'll receive the exact necklace shown in the photos. -Pendant measures 25mm (1") tall (not including the top loop which adds about 1/4"), 22mm (7/8") wide at it's widest point, and 8mm (5/16") deep at it's deepest point. 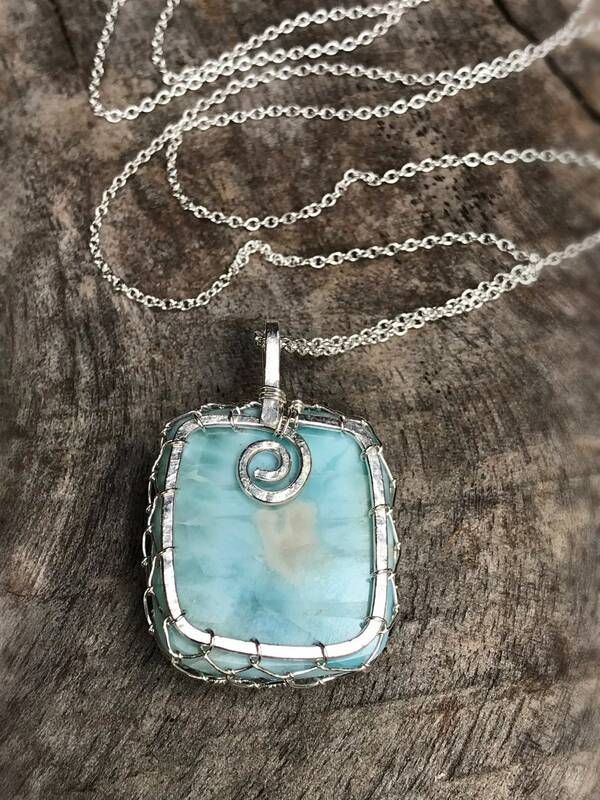 -The stone is a genuine untreated Dominican Larimar, rounded rectangle in shape, with a gorgeous array of sky blue, tan and white tones, and dynamic patterning throughout, including a heart shaped pattern on the backside. 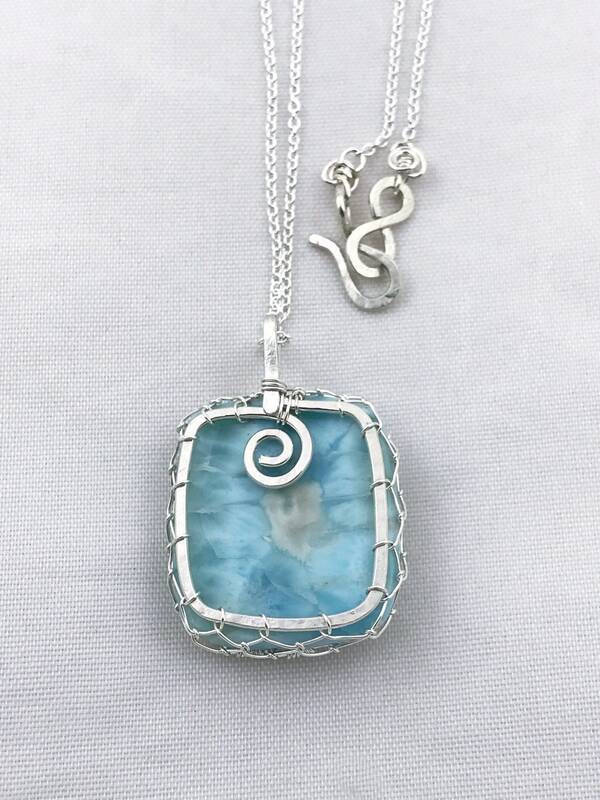 -All of the wire is solid sterling silver, formed and shaped by hand. -Chain is a solid sterling 1.1mm width 24" length cable chain with a hammered sterling clasp. It looks delicate but is quite strong. -If you would like a chain length other than 24" or an alternate clasp, please message me. 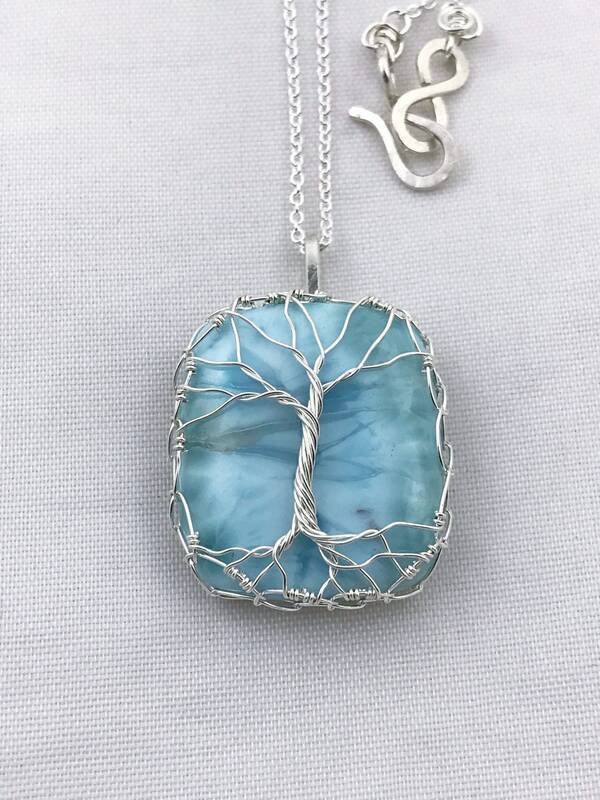 Each of my Tree of Life necklaces are one of a kind, no two are ever the same. I absolutely love creating these and watching them take form. They always amaze and delight me with their unique personalities when they're completed. 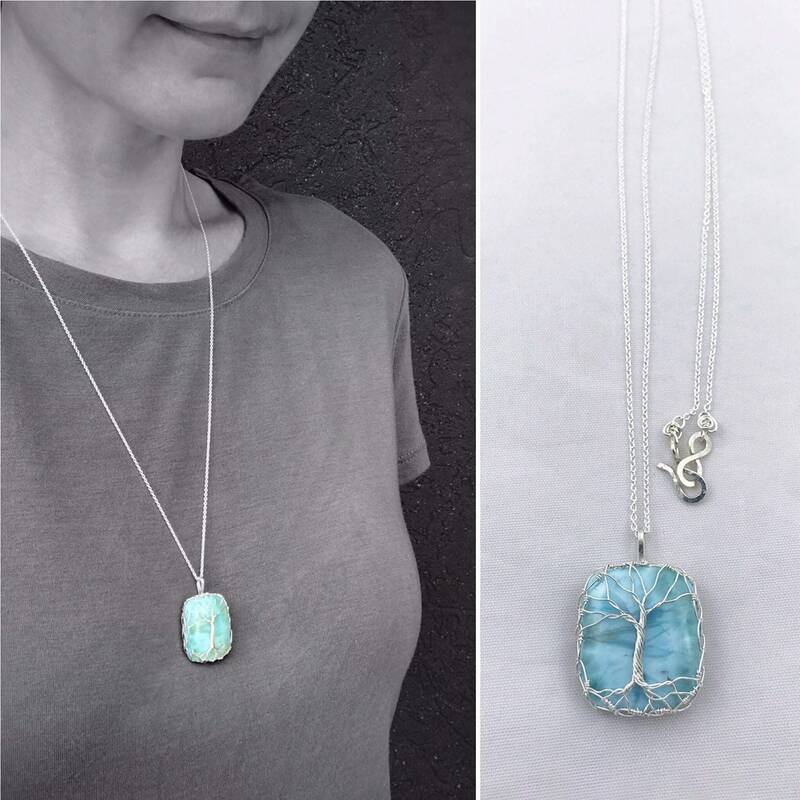 Larimar, also called "Dolphin Stone" or "Atlantis Stone", is a rare blue variety of the silicate mineral pectolite found only in the Dominican Republic, in the Caribbean. Its coloration varies from white, light blue, green blue to deep blue. It was originally discovered in 1916 but was not recorded or mined, and was not rediscovered until 1974. 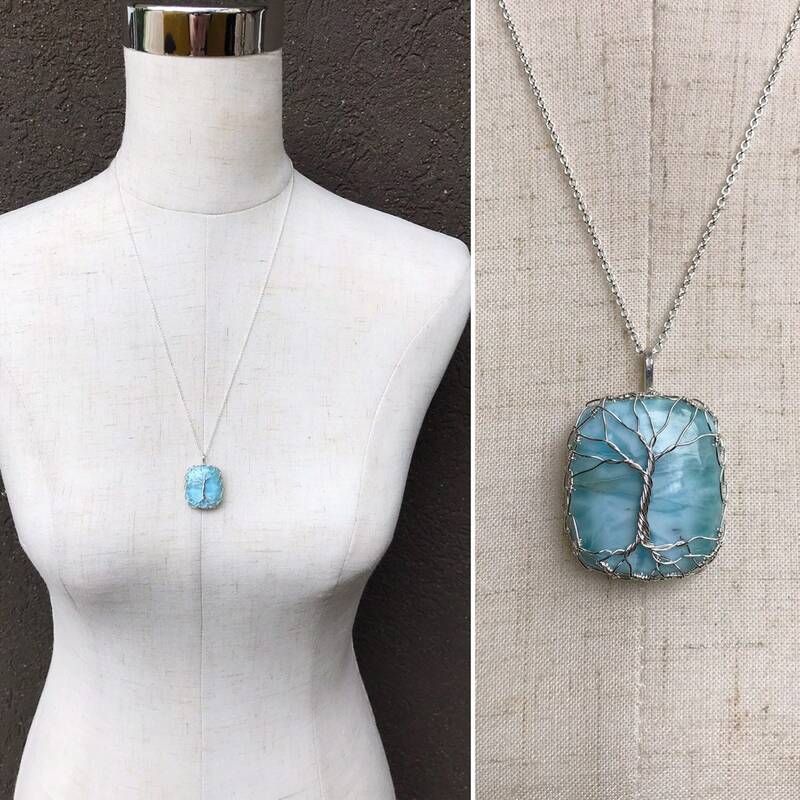 Larimar is said to be a stone of soft tranquil energy, embodying the sea and sky. 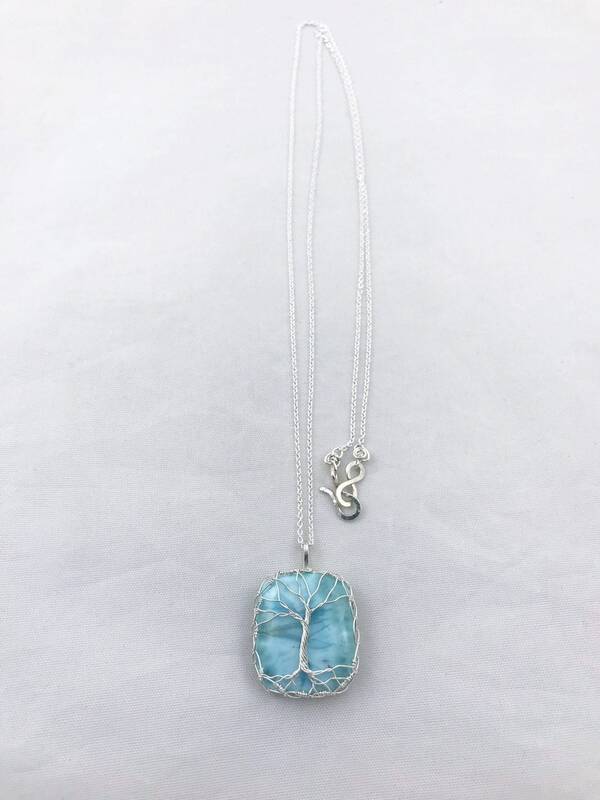 It is thought to promote harmony, communication, open mindedness and compassion.